Some time ago, we were about to start development of a BI tool on top of Apache OFBiz™. OFBiz already comes with a normalized transactional database and some dimensional modeling, so we started our BI process by focusing on the concept of Data Warehousing for Business Intelligence. One of our primary reference books was “The Data Warehouse Toolkit: The Complete Guide to Dimensional Modeling by Ralph Kimball, Margy Ross“. This book gave us a great head start in our development efforts, and in this post we wanted to share a quick overview of some of the things we learned during our effort. 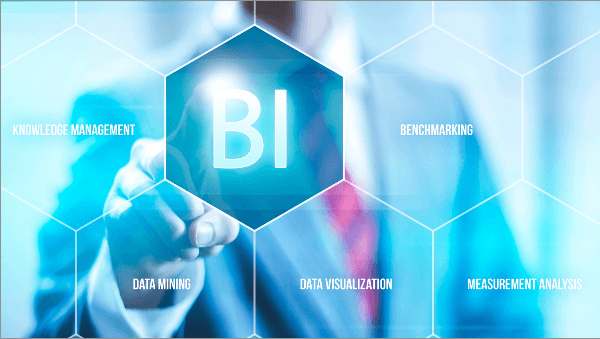 Business Intelligence (BI) is nothing but the concepts and methods to improve business decision making by using a fact-based support system. Often, BI applications use data gathered from a data warehouse or data-mart. A Data Warehouse (DW) is a copy of the transactional data to facilitate decision making. However, not all data warehouses are used for BI, nor do all BI applications require a data warehouse. Data preparation and data usage are two separate (but closely linked) segments of the BI architectural stack. Operational systems are where data is put and the data warehouse is where we get the data out. 1. Organization’s information is easily accessible. 2. The contents in the Data Warehouse need to be labeled meaningfully. 3. The tool that accesses the data warehouse must be simple and easy to use. They also must return query results to the user with minimum wait times. 4. Organizational information is presented consistently i.e. high quality information. 5. Effective control of access to the organization’s confidential information. 6. It is the foundation for improved decision making. 7. It has the right data to support decision making. 1. Go through the business data source in order to collect the needed data. 2. Convert business data to information and present it appropriately. 3. Query and analyze data. 4. Act on the data collected. Consideration must be made in order to successfully integrate BI systems into any company. The BI system that you build must be accepted and utilized by the users in order for it to add value to the organization. If the system doesn’t add value to the user’s mission, they simply don’t use it. Taking a user-centered approach throughout the design and development stage may further increase the chance of rapid user adoption of the BI system that you developed. These were some basics around DW and BI, we will see more details in our upcoming posts. In the mean time you can surely refer to the book “The Data Warehouse Toolkit: The Complete Guide to Dimensional Modeling by Ralph Kimball, Margy Ross” which has helped us and will likely help you too.